Episode 218: David Jara is on assignment, so Mac is joined by special guest-host Lance Gilstrap to talk about the upcoming Austin Sketch Fest. A call from Brian Shortall of Delicious Moments (hint: one of the Fest’s most anticipated acts). An offhand comment leads to Lance tell true stories of his pit years. Plus, a very exciting Mascot Wedding announcement! 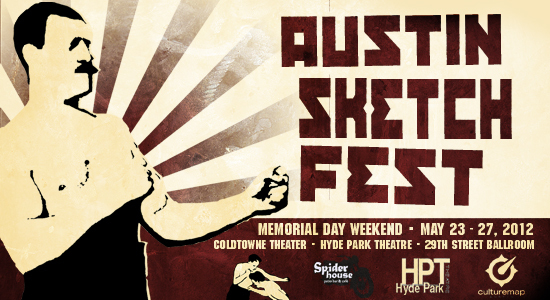 Next Next post: The Hustle Show – Austin Sketch Fest Edition!